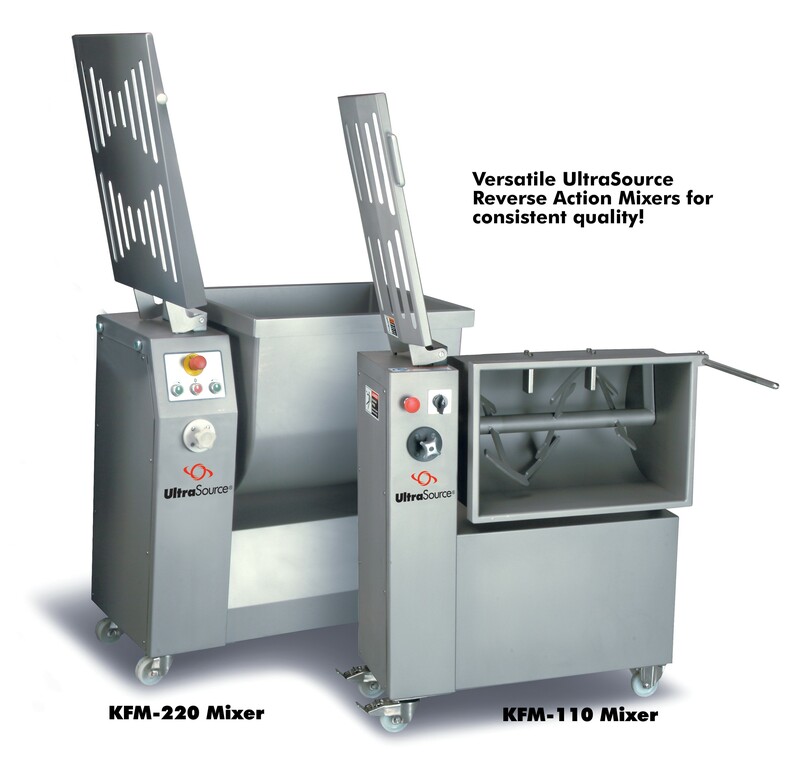 Extremely versatile mixing machine that can be used for all kinds of food (vegetables, meat, fish, etc.). Provide optimum mixing in a short amount of time. The stainless steel lid has viewing slots so spices or other ingredients can be easily added during the mixing process. 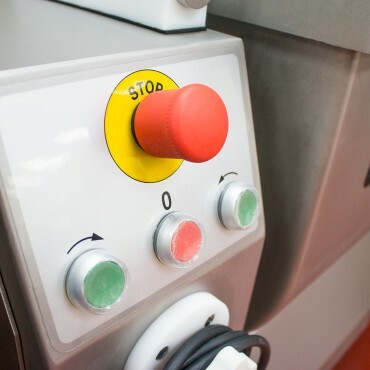 When a batch is complete, the hopper tilts at 95° for easy unloading and cleaning. Great kneading machines for small volume productions in which good blending and good kneading are essential to obtain a high quality end product. 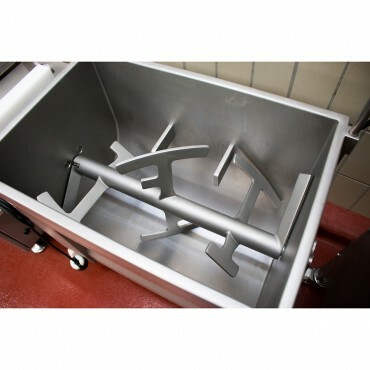 - High quality fabrication totally made in stainless steel. - Machine adapted to international safety and hygienic rules. - Operatese with a central arm fitted with two T-blades that rotates in both directions, enabling them to knead and mix any type of product. 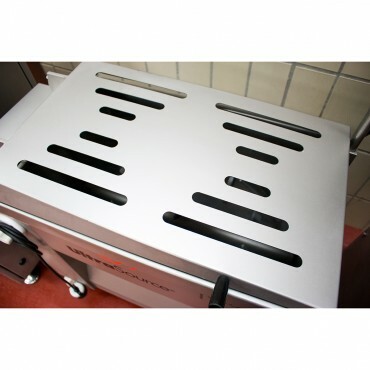 - The whole arm can be easily dismounted, ensuring convenient and perfect cleaning. 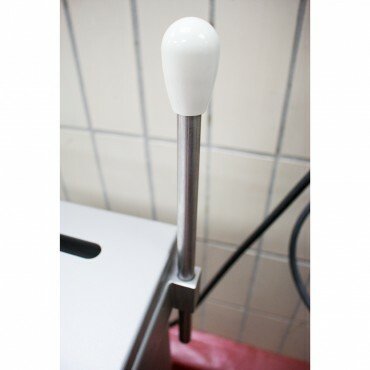 - The bowl can be tipped to unload the product neatly and cleanly.